This weekend let your worries at home and enjoy two classic nights in Fratelli! Our friends, DJ Johnny DaMix brings his special sounds to the table for two unforgettable parties, together with his buddy, MC Silviu Andrei! 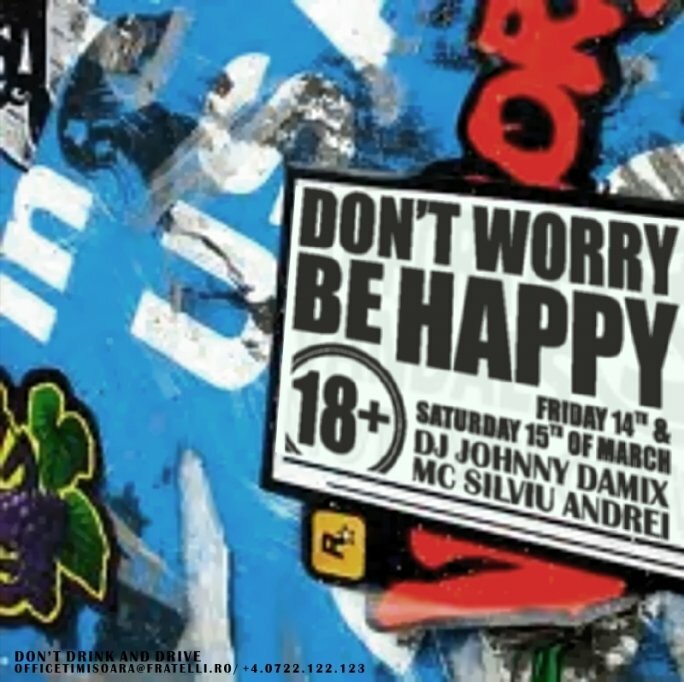 Put a smile on your face and join us in Fratelli Lounge & Club on Friday and Saturday, the 14th and 15th of March! We start around 11.30pm! For reservations: officetimisoara@fratelli.ro / 0722.122.123. Fratelli reserves the right to select its clients, due to the capacity of the locations and the reservation list.